appeared on behalf of the prosecution. appeared on behalf of the defendant. Transcription by D. L. Sellers & Co.
10 High Street, Leatherhead, Surrey, KT22 8AN. MR. JUSTICE HUTCHISON: Members of the jury, I begin by reminding you in a little more detail of what I said to you at the beginning of this case the week before last and it is this. We do have completely different functions to perform, both in the course of the trial and particularly at this stage. My function now is to sum the case up to you. I shall endeavour to remind you of those things which are important, by no means everything - far from everything. I shall endeavour to do it fairly and you will have to decide whether I do. Most important of all, I shall be performing a function of telling you about the law and reminding you about the evidence. As far as the law goes, it is for me to direct you about the law and please accept what I tell you as being correct and act upon it because I am the judge of law in this court. But so far as the facts are concerned, while I try to help you by suggesting what are important issues and by reminding you of what seems to me to be the important evidence, you and you alone are the judges of fact and I have no part to play at all in deciding the facts of this case; in particular, no part to play at all in deciding whether this defendant, Mrs. May, is guilty or not guilty of the charge of murder which she faces. That is your function and your function alone. Members of the jury, should it appear to you - as it may - in the course of what I have to say to you about the case or about the facts, I am expressing views of my own, please disregard my views unless they commend themselves to you because it is your views that count, not mine. If I emphasise evidence which you think is unimportant, pay no attention to what I say, follow your own views. If I omit to mention an important piece of evidence which you recollect, you take it into account. I have said enough, I hope, to get the message across that this is for you to decide not for me. Maybe even by the tone of my voice I shall appear to be suggesting the conclusion which I think you ought to arrive at, or seem to be suggesting you should to arrive at, again, pay no attention to those suggestions unless they commend themselves to you. You have heard submissions this morning and this afternoon from counsel who, of course, address you from the standpoint which they represent. Those submissions are for your assistance. Counsel make points which they ask you to accept. Accept them if you think they are good points, reject them if you do not. Please do not think that because I failed to mention over again everything that counsel have said that I am in some way belittling their submissions - not at all - but it would not help you, I think, for me to repeat what they have just said and what you will remember. But their submissions, again, are for your consideration to endeavour to assist you to arrive, in accordance with your oath, at a correct verdict. Members of the jury, may I say a further thing to you, which is this. We all have human sympathies and prejudices - sympathies I hope, prejudices certainly. When you enter the jury box you try to do what I try to do as a judge, which is to put considerations of sympathy or prejudice out of my mind. It does not mean I have not got them but it means that I try to get above them - put them to one side - and you should do the same. Of course one feels sympathy for that poor old lady done to death in her own home, and feelings of sympathy of that sort tend to engender the natural reaction, "Well, somebody must be brought to book for it", but that is a poor guide to arriving at a correct result when you are sitting in a particular case trying a particular defendant because the question is "Is she the person who did it or not?" So do not let any feelings of sympathy you may have for Hilda Marchbank or other members of her family affect your deliberations. It maybe, as Mr. Carus suggested to you, that you have feelings of disapproval for the way the defendant was conducting her life: her association with Mr. Ross, her concealment of that association from her family; the way - depending the view you take of it - that she dealt with the money matters and so on. Again, put any feelings of disapproval that you may have to one side. We are not a court of morals. You are not concerned with the defendant's morals except in so far as what she did throws light upon the question that you are concerned with which is "Has it been proved that she killed her aunt on 11th March last year?" Every decision by a jury has consequences, whether it is a decision of guilty or not guilty, but the consequences are not your concern, members of the jury, and again may I invite you please not to worry about the consequences of your decision one way or the other, because if you do, it will deflect you from your task of coolly and dispassionately considering the evidence and arriving, on the evidence, at a true verdict. Do not think about what the result of that verdict may be. I have talked about evidence and you have seen a number of witnesses. I do not know if any of you have ever given evidence in court - I never have - but I imagine that it must be an unsettling and difficult business, particularly if, unlike me, you are not used to the paraphernalia and formality of a court; if you are not used to speaking in public, as many people are not. Therefore, when you are judging a witness remember - not the defendant, whom I shall say a word about in a moment - but remember, for example, her daughter, Katy, the first thing she did was to burst into tears in the witness box was it not? Although she really did it merely from nervousness and she was all right once she had settled down. People find it difficult and stressful to give evidence and they often, therefore, do not give of their best because of the worries that they feel. So make allowances for witnesses when you are judging the impression they make upon you. In particular, of course, that applies to the defendant, who has the added burden that she faces a very serious charge and therefore is no doubt naturally nervous and apprehensive about how she will perform. So make all those allowances for her and for any other witness who you think may have felt the stresses of giving evidence and allowed that to affect their performance. Members of the jury, what about the law? You will not be surprised at the first thing that I have to say because counsel have emphasised it more than once on both sides. It is fundamental to our criminal law that the Crown who bring a case - when I say the Crown I mean the prosecution; it is the same thing because prosecutions are conducted in the name of the Crown - the Crown who bring a charge have to prove it, the defendant does not have to prove anything. She did not have to give evidence, she chose to do so and her evidence and that evidence which she called is therefore part of the whole of the evidence in the case. She could have sat in the dock and said to the Crown, in effect, "You bring this charge, you prove it if you can. I am simply going to sit here and see if you can." So that is the first and fundamental principle that you must bear in mind at all times. The burden of proof is on the Crown throughout. There is nothing in this case that the defendant has to prove. How does the Crown discharge that burden? It is a heavy onus. You can only convict the defendant if the Crown have made you sure on the whole of the evidence - that is to say the prosecution's evidence and that evidence called by the defence - if the Crown have made you sure that she is guilty, nothing less than that will do. If you have any reasonable doubt about it then it is your duty to acquit her, not as a matter of sympathy but because that is the law. So members of the jury, when I say "Do you accept this? ", "Do you find that?" or "Do you conclude the other thing? ", remember, please - I shall not repeat it every time - that it is all in the context of that overriding direction, that the burden of proof is on the Crown to establish all the elements of this charge and to establish guilt so that you are sure about it, but if you have any reasonable doubt it is your duty to acquit. The defendant, you have heard, is a person of good character. She has no convictions of any sort. What is the relevance of that as a matter of law? Members of the jury, it has relevance really in two ways. First of all, you have her evidence and one of the things you have to decide is whether you believe her - whether you think she is a creditable witness. Obviously it helps on credit, does it not, if you are told the person whose evidence is in question is a person of good character. I sometimes say to juries, in your own life if you were deciding whether to believe something you were told, you would be more likely to believe it if it came from the vicar rather than the burglar - that perhaps illustrates the point. So it goes to credit, not only in relation to what she said in the course of her evidence on oath but also to her interviews with the police when she was questioned by them because you can use it there in deciding whether you accept that she was telling the truth there. Of course, in some respects we know that she was not, and I will come on to that separately and to her explanations about why she was lying about certain matters. Members of the jury, that is the first thing. The second way in which her good character is relevant is you can ask yourselves "Is it likely that a person of good character would do such a thing as she is charged with doing? ", and plainly it helps you in that regard as well. So give it such weight in those contexts as you think it properly deserves. What is she charged with? You have, I think, have you not, a copy of the indictment? It does not matter if you have not because this is one of the rare cases in which I not think that it will be necessary; it is so simple what I have to tell you. She is charged with murdering her aunt on that night of the llth March, the llth/12th March last year. The charge is the murder of Hilda Marchbank. Members of the jury, what is involved in murder as a matter of law? It is this: a person commits murder if he or she unlawfully and deliberately kills another person, intending at the time when he or she does the act which results in death either to kill or to cause really serious harm to that person. So if we just look at the elements, because they are not going to detain you long. It has to be proved that the defendant killed the victim. It has to be proved that it was deliberate - that is to say not a mere accident, which of course creates no criminal liability - it has to be proved that it was an unlawful act. Sometimes a person will kill in self-defence and that again is no crime, in lawful self-defence. It has to be proved that when the act was done which resulted in death the defendant had the intention at least to inflict really serious harm. The definition is 'to kill or to cause really serious harm'. Members of the jury, I suspect that not one of you will have any doubt at all that whoever it was who, on that night, did Hilda Marchbank to death intended to cause her really serious harm, that they had no lawful excuse for doing it and that it was done deliberately and not by accident and if you are - as I anticipate you will be - satisfied of all those matters, you will be satisfied that all the ingredients in law of murder are established to your satisfaction. If you were a Coroner's jury, not concerned necessarily with identifying the assailant, you might be saying, "We are quite satisfied that this was a case of murder by a person or persons unknown." The issue here is, members of the jury, is it not, "Has it been proved that the defendant it was who did the acts which resulted in Hilda Marchbank's death?" So that is the issue, I suggest, on which you will be concentrating. It certainly seems to have been the issue on which both the prosecution and defence have concentrated in this case. I shall say no more, therefore, about the definition of murder; I will anticipate that you will be approaching the case on the basis that you are sure that Auntie was murdered and that the question you have got to consider is, have the Crown satisfied you so that you are sure that it was the defendant, Mrs. May, who did it? Can I tell you something else about the law, which is this. I mentioned lies a moment ago and we know that the defendant lied in the course of her interviews to the police. You know that she asserted that her relationship with Christopher Ross was purely platonic; she denied that the photographs produced by police officers were photographs of her; she also told lies about her dealing with the Instant Reserve Account book. (at our page 147) with the pasted in page. Members of the jury, later in interview she admitted that the association with Mr. Ross was a sexual one in fact, that she was the subject of the photographs and she has at any rate here admitted that that book was tampered with by her, that she stuck the page in and that she did it in order to ensure or to try to ensure that her sister did not get to know about how much of her mother's money she had had because she thought her sister would be upset about that. She said "Well, it was a silly thing to do" and I think was explaining that that is why she lied about it because she recognised it was silly. Members of the jury, I will be coming to the possibility of lies in another context because it may be that you will take the view, depending on the conclusions that you reach about the evidence, that she also lied about some matters to you in evidence. What is the relevance of lies? How does it help you? What weight can you give to it in reaching your conclusions? The first thing that I should say to you is this, and it is important that you should appreciate this. The mere fact that the defendant has told lies is not, of course, of itself evidence of guilt. That is because people may lie, as indeed Mr. Morris told you this morning for many reasons. For example, to bolster up a true defence which they think needs a bit of bolstering, or to protect some other person, or to conceal conduct of which they are ashamed or to avoid the disclosure of facts which will, for some other reason quite other than their guilt, they are anxious should not become public. They may also do it out of panic or confusion or sometimes for no very readily ascertainable reason. Members of the jury, in this case take the business of Mr. Ross and the nature of their association. When the defendant eventually admitted, as she did, the truth about what they were putting to her, she gave there and then the explanation which she in effect repeated in the witness box: that she had lied because she thought it was none of their business what the relationship was and she was anxious to protect Mr. Ross and spare his family. We know that Mrs. Ross, whose evidence you heard, had no suspicion of any improper relationship between her husband and the defendant Again, so far as the passbook was concerned (as I have reminded you), she admitted that she had done it and lied about it. She said she had done it to deceive her sister, who she knew would be upset, and that it was a stupid thing to do. Members of the jury, if you think that those explanations by the defendant of her reasons for lying are true or that they may be true then you should dismiss those lies from your minds as being relevant to the resolution of the issue in this case as to whether she committed the murder. Similarly, even if you reject that explanation; if you think that maybe she lied for some other reasons such as I have outlined or that she may have done then the lies will not in any way assist the prosecution and you should dismiss them from your minds. However, as you heard Mr. Morris in his submissions to you make clear, the prosecution invite you to take a different view of those lies. They suggest that the explanation for them is not an innocent one such as I have been discussing, but a sinister one tending to prove her guilt of the murder of her aunt. What the prosecution say is that knowing, as they say she did, that one of the main reasons for her parlous financial state was the money she had lavished on Mr. Ross and that her motive for killing her was to obtain further funds, she appreciated that if the affair between herself and Mr. Ross became known, that would strengthen the case against her. The prosecution say, therefore, that she lied not to protect Mr. Ross and his family or for any such innocent reasons but because she realised that to admit the association would make it more likely that the police could prove that she was the murderer. In other words, the prosecution say that her lies were told because, knowing she was guilty, she feared the truth coming out and the case against her being strengthened. Members of the jury, you must consider those contentions on behalf of the prosecution. If you think that there is, or may be, some innocent explanation for the lies you should, as I have told you, take no notice of them. But if you are sure that the defendant did not lie for some such innocent reason then her lies can be evidence going to support the prosecution's case. What weight you give to them, of course, is a matter for you. The phrase 'circumstantial evidence' has been used by both counsel in the course of their addresses to you. Sometimes the typical example is when people turn out of a pub and somebody gets killed in the sight of a lot of other people - there is direct evidence going to prove a criminal offence by eye witnesses who saw the knife drawn and plunged in (or what ever it may be) and that is direct eye witness evidence. More often than not in criminal cases the evidence is circumstantial because, generally speaking, people who commit murders try to ensure that it is done when there is not anybody watching and therefore in most cases - and this is one - the Crown rely on circumstantial evidence, evidence from which the jury are invited to infer that the case has been proved. Members of the jury, circumstantial evidence is not a term of denigration in any way, it merely distinguishes that sort of evidence from other evidence. Circumstantial evidence may be very compelling and the number of pieces of circumstantial evidence, when taken together, may point inexorably to a particular result. I am sure you can think of examples and I shall not detain you by giving any of my own. So do not put off by the term 'circumstantial evidence', but there is this important thing about it. It is for you, the jury, to say whether it leads you inevitably to the inference that the Crown invite you to draw and you should be very careful when you are considering a piece or a number of pieces of circumstantial evidence to ask yourselves "Is there some other possible explanation, some possible innocent explanation, for this piece of evidence or does it point inexorably towards guilt?" That is all I have to say about circumstantial evidence and I hope my explanation about it is clear. I turn to another topic in this case. It did occur to me once or twice that it is the topic which has actually occupied us for more time than any other. That is to say, the point about money and motive. A good deal of the time has been taken up with that, has it not? Investigating what monies passed from the accounts of Mrs. Marchbank, the defendant's mother and her children into her own account. Members of the jury, as counsel have been at pains to remind you - and rightly - the defendant is not charged with misappropriating or stealing money. The relevance of this, and indeed the only reason that the Crown are able to introduce it, is that it is said to show that the defendant had a motive for killing her aunt. From the point of view of the Crown it matters not whether the money was misappropriated, whether the defendant helped herself to it or whether she took it with her aunt's consent or in the believe that her aunt consented, or on the basis that it was a fitting reward for the services rendered - and we know that over a lengthy period she had looked after her aunt, apparently in a devoted and careful and attentive manner. What seems undoubted, members of the jury, is that by the spring of 1992 a good deal of the money which had been in the accounts of the aunt and the mother and children was no longer there and a good deal of it had gone to the defendant, who seems to be in receipt of regular supplies of money from these various sources which were, on one view of the case beginning to dry up. Thus, say the Crown, she had to find new sources of supply and the only one available was the house which, she could only obtain if her aunt was dead. Members of the jury I must warn you strongly against the risk of allowing yourselves to be prejudiced against the defendant if you think - she, of course, disputes it anyway - that she was helping herself to money with rather too free a hand and beyond what she was entitled to. As I have said, she is not charged with any offence of that sort and it would be quite wrong if this were your view to say "Well, she was helping herself to her aunt's money. That makes her a dishonest person and therefore we are inclined to believe that she is guilty of killing her aunt." You can see how unfair that would be, I am sure, and I am sure you will not do it. Members of the jury, most of us have motives of that sort, do we not, if our affairs were investigated. It could be said of almost any of us that we have interests in this or that relative dying if we are a beneficiary under the will, but it does not support a case of murder against us does it - at any rate not with any conviction. As I said, the relevance of all this lies solely in the fact - if you find it to be the fact - that over a number of years considerable sums of money from various sources found their way into the defendant's possession and that by 1992 those sources had - subject to the submissions Mr. Carus made to you - run dry. The Crown say that gave her a motive, particularly as she (as I shall show in the summary I am about to give you) was herself short of money of her own. Members of the jury, it is no criticism of this excellent schedule, on which I complimented the officer concerned and which has assisted greatly our ready comprehension of the financial background to this case, to say that I have concluded that it would not really be helpful for me, at this stage, to start explaining to you the ins and outs of the financial aspects of the Crown's case. I say that more readily because I am confident that you yourselves have readily grasped the position and I have devoted some thought to how I could most helpfully put it to you in the course of this summing-up and I have concluded that the way in which I can best help you is by inviting you to view the matter broadly. It is, of course, tempting is it not all the more so since the defendant was questioned about it - to examine the documentary and oral evidence bearing on whether these various payments were legitimately made or not or where the money went. Such temptation is particularly hard to resist, for example, in relation to the issue of who paid for the Yamaha motor cycle and where the money came from. Was it from the children's accounts, £1,500 a piece, or was it from Mr. Ross's insurance monies for his apparently much cheaper motor cycle which he had earlier bought and which had been stolen or destroyed in some way or other. Members of the jury, I do suggest that we resist all of those temptations and assume in the defendant's favour that her assertions as to the financial matters are broadly correct; that she, with her sister initially and latterly more she herself were being treated very generously by her aunt and by her mother; that so far as the children's money was concerned she had their consent to drawing it out of their trust account. If you make that favourable assumption, what does the evidence come to? It seems to me that it can be put in this way - and I am telling you something that I know you are well aware of but I just summarise it. On the 1st August 1986 Auntie had in various accounts more than £46,000, the defendant's mother more than £12,000 and the defendant herself more than £11,000. By the 1st August 1987, the defendant herself was marginally in the red, that is to say her £11,000 had gone. Her position steadily worsened until, at the date of her death, she owed more than £7,000. Over the same period the balances in the accounts of the two old ladies steadily declined until by the date of Auntie's death there was virtually nothing left. During that period it was essentially the defendant who controlled their finances and determined what happened to the money. There were no twinned cheques after October 1988 and only four after October 1986, though you will remember that the defendant says that she was in the habit nonetheless of giving actual money, when she drew it, to her sister or, when her sister was in the hospital, to her brother-in-law, Gerry. By the date of Auntie's death the money in the defendant's children's account had also all gone; there was some £8,000 in each of them and it had gone There remained the shares-worth just over £ll,000, in respect of which the certificates were in the safe, from which the defendant could have, but did not, take them. There was also the jewellery which you have heard was valued at some £5,000, the more valuable items of it. There was Mrs. Sheldon's property in the form of three houses, one of which we have heard is about to be sold now. Members of the jury, the defence make a point and you will give such weight to it that you think proper that the defendant was therefore not in a parlous position financially because if she had been minded to do so, if she is the sort of person the prosecution say she is, she could have turned to the shares and under her power of attorney sold them. You may ask yourselves whether, perhaps, a person would feel that to dispose of shares on the stock market was a different and more difficult step than to draw money out of an account by means of cheques and passbooks to which one had ready access and on which could write the signature of oneself and, where occasion demanded, one's sister. So far as the mother's property is concerned, of course, to sell a house is a different matter altogether, is it not than drawing money out of a bank account or building society account? There it is; those are the points the defence make. In the light of all those facts you will have to ask yourselves therefore, is it or is it not fair to say first that over these years the defendant had been heavily dependent on monies from her aunt, her mother and her children; that her own resources had become non-existent - she told of perhaps being able to sell her VW Beetle which, you may think, was not going to produce very much money - and her financial position could rightly be described, could it or could it not, as being parlous. There, say the Crown, is the motive for killing her aunt: she knew that with her sister she was the residuary beneficiary of the will and that number 24 Tandle Hill Road was a property of some value apparently free of in cumbrance. On the other hand, members of the jury, the defence argue that there were those other sources of cash available, notably the shares and properties, and invite you to dismiss that suggestion and to conclude that the defendant did not on any sensible view have a motive for killing her aunt, for doing such a dreadful act. The defendant herself, you will remember, in a phrase the literary origins I shall resist from referring to, said that she always felt that something would turn up, it always did. Members of the jury, that is all I propose to say about motive, and apart from suggesting motive what is the evidence on which the Crown rely? In summary form it seems to me to be, principally, at any rate, these matters. First they say the defendant had the opportunity to kill her aunt, she had access to the house and was admittedly there some time about nine o·clock on the night that Auntie died. Dr. Lawler's opinion, you remember, was that death occurred between 9 p.m. and 3 a.m. and he favoured the period between 9 p.m. and midnight. Secondly, say the Crown, on the wall leading to the door was a hand and fingerprint which have been identified by Miss Symmons in evidence (which the defendant did not challenge) as being the hand and fingerprint of the defendant herself. Moreover, the Crown ask you to infer that that print was made with human blood and suggest a person, perhaps unaware of blood on her hands or his hands, feeling their way in the dark room towards the door, right hand, left hand (indicating) and if it is a hand near the light switch presumably right hand - hand over hand along the wall leaving those marks. Of course, it does not need me to tell you that, as you just heard from Mr. Carus, that hypothesis and the legitimacy of that inference is very much in dispute. Thirdly, members of the jury, the prosecution say that there were signs of disturbance in the house but nothing appears to have been taken. So the suggestion is that whoever killed Auntie wanted it to appear as though there had been a burglary but was not in fact a burglar. Fourthly, the prosecution say that as she left the police station on the 18th March the defendant said to Police Sergeant Rimmer in the hearing of Detective Constable Ogden words to the following effect, "Do you know the scratches on my aunt's face, can they get stuff from down the fingernails at forensic?" The point is as you know that, as other prosecution evidence has established - you heard a lot of evidence about the fact that there was no publicity about the scratches at this time and indeed as the defendant herself in interview and in evidence agreed - she had, unless she was there and knew what had happened to Auntie, no means of knowing on that date that there were scratches on her aunt's face. So you may think that, Mr. Carus is right when he says that that appears to be an important plank of the prosecution case. Fifthly, members of the jury, the Crown rely on the fact that the defendant in interview admittedly lied about some financial matters about which she was questioned and about the nature of her association with Mr. Ross, the passbook and so on and they also, as you heard this morning, rely on the fact that, as they contend, she has lied to you in evidence, in particular about two matters: about the conversation which Miss Roberts spoke to and the conversation which Mrs. Oakley spoke to, and also about what transpired on the 18th March with Sergeant Rimmer. There are other points which the Crown lay emphasis upon which do not seem to me very much to help the Crown's case. Of course my view does not count - as I say, it is your view that matters - but I mention the points which have not struck me as being particularly potent. The first is the absence of any signs of a break in to the house. Members of the jury, do you have the impression that the evidence is that this old lady, Hilda Marchbank, would, on occasions, leave her back door open and if that is the evidence - which I conceive that it is then it is at least a distinct possibility that whosoever came into the house came in by the simple expedient of opening the back door. In fact, if I can just mention a point that Mr. Carus made, he rightly drew your attention to the evidence of Mr. Gallatly, the locksmith, which was read to you, to the effect that neither of the locks on the back door, either the porch door or the inner back door was working properly. But it is right to remember in that context that Mr. Gallatly did - as I think, Mr. Carus in the passage he read out made clear but it may have escaped your notice - also say this: "Also on the back door are two security bolts. These showed no signs of damage and worked correctly." So assuming the old lady could reach them there was a means of closing the back door but, as I say, you will probably conclude that it was at least a distinct possibility that she would, on occasions, leave her back doors unlocked. If you conclude that it follows, does it not, that the absence of any evidence of a break in is not really very strongly, if probative at all, probative of the Crown's case. Secondly, a point is made about the fingerprint on the red jewellery box. There is evidence from the defendant - and it fits in with common sense, does it not - that she often handled her aunt's things, helping her get things out and so on, and there were fingerprints of hers around the house. Surely it is readily explicable that such a fingerprint should be there for some reason. That is my view at any rate; whether it is yours will be for you to say. Then members of the jury - and this is perhaps a more difficult point - there is what she said to Mrs. Oakley, "It's Auntie, it's Auntie. She's dead", or words to that effect. The Crown make the point, and made it to her in cross-examination, "How did you know she was dead because you had not put the light on, you had not felt her to see if she was dead, you just assumed it and yet you were going out to the get help? Surely if you were not the murderer your first thought would have been, 'Well, perhaps she's unconscious, perhaps she's in urgent need of medical attention and therefore I must rush out and get somebody to look at her'," and, say the Crown, that accounts for why Mrs. Oakley never went in - because she was told that Auntie was dead. Members of the jury, perhaps you will not agree with my view about this; I give myself the privilege that you will have agreed with me on the previous two points, on this point you may not. The way it strikes me is this. Supposing the defendant is innocent (which is the hypothesis that we have got put for this purpose) can we any of us predict how a person would react when discovering such an awful sight in the bedroom as she says she discovered that morning? What we know she saw was the old lady lying there. She saw enough to see that her clothes were all pulled up above her waist and that there was, as she thought, blood on her face. In fact, if her story is true, what it was was the dark marking on the face. Would it be such a remarkable thing to jump to the conclusion that she was dead and rush and out and say that? I do not know, what do you think? Maybe you feel that that point deserves more weight than I am inclined to give it, maybe you will agree with me. There is a further point on which the prosecution rely which needs more careful consideration and that is the remark said to have been made to Police Constable Roberts and Mrs. Oakley. They have been hotly disputed and, members of the jury, I am anxious that this should not lead you to elevate their importance and attach more weight to them than they deserve. You may recall, if you have got a good memory, that at one stage during the case I let slip a remark which showed that I, at any rate, did not think that it was a particularly damning remark to make. The effect of the remarks, taking them both together, was this, was it not, that she was saying, "I feel awful. The last thing I said to her or one of the last things I said to her was cross and I was cross with her and I feel it is my fault" - a sort of remorseful remark. Members of the jury, just to remind you in a little more detail of that (which perhaps I should), Police Constable Roberts put that as a remark made at Dogford Road after they had got back from the scene the defendant was saying she felt it was her fault. She was the last one to see Auntie the evening before and she had spoken to her on the telephone and had had an argument on the phone and had slammed the phone down and then gone round to Auntie's house. She was born out by evidence from Mrs. Oakley about a similar conversation which Mrs. Oakley said that she had had. You will remember the way in which it came about was this, that Miss Roberts was extensively cross-examined about the accuracy of her account; she was shown her statement of 27th April 1992 (which is now exhibit page 137 in your bundle). You know that she made no note at the time of the conversation - you have got her notebook at page 136 because she said that she did not think it important. You will remember (and I will not take you through it) Mr. Carr describing how he had checked the records in the HOLMES computer that showed between the 24th March and 8th April she spoke to him and he became aware of the conversation an on the 8th April raised an action for her to be interviewed again and that that led to her making her statement of the 27th April. Mr. Carus, in challenging all those matters and going into them in such detail, was as good as suggesting, was he not, that Miss Roberts' evidence was untrue. He used (as what I thought was something of a euphemism) the phrase, "Well, you have made a gross error" but really he was as good as saying to Miss Roberts, "Well, this just did not happen. You have made it up", was he not? But sitting in court was Mrs. Oakley who, when she heard that challenged, said to herself · and this is what she told us in evidence; perhaps she should not have done, strictly speaking, in accordance with the rules of evidence but it graphically illustrated her train of thought - she said "I sat there and thought to myself 'But it is true' and therefore she came back and she saw the police and she came back to tell us that outside Tandle Hill Road that morning the defendant had made a not dissimilar remark to her saying, "I feel awful, I shouted at Auntie last night. I shouted at her", and that she had said "Auntie don't go to the front door" and that when calling that she raised her voice. Mrs. Oakley had the impression - and it was only an impression - that what was being described was a phone call, after which Mrs. May had come up and shouted at Auntie. You will remember, members of the jury, that Mrs. Oakley was questioned about this. She was shown the statement that she had made (which she was taken through in great detail) which contained all the details of her earlier evidence that she had given us, and that there was nothing in it about this conversation. She was therefore extensively cross-examined with a view to showing that she was mistaken. I do not think it was suggested that she was lying but that she was mistaken in her recollection. Members of the jury, you have seen Mrs. Oakley; you saw her both times she gave evidence. Do you think that she might have been mistaken? Mr. Carus described her as an anxious witness. Do you think 'anxious' is the right word or do you think 'careful and meticulous' are the right words? It is a matter for you. It must have been obvious, I think - and I say this so that you have the point out in the open - because you remember that I said something complimentary at the end of her first venture to the witness box when her evidence was, I think, uncontroversial that I formed a view of her as an impressive witness. But it is not my view that counts, it is your view. Members of the jury, suppose you were to conclude that you are sure that Miss Roberts and Mrs. Oakley are right, does that help the prosecution in any way? First of all, I suggest that you start by asking yourselves, "If those remarks were made, do they in themselves suggest guilt?" I think Mr. Morris as good as suggested to you this morning that they do not really; they are perfectly consistent with innocence, are they not? Perhaps you will think that if those remarks were made they are not the remarks that someone who had killed their aunt would have made to Mrs. Oakley and Miss Roberts and that they are more suggestive of innocence rather than guilt. So whatever view you take of them you will probably take the view that the remarks in themselves do not go any way in proving the prosecution case that she murdered her aunt. However, members of the jury, there is this further consideration which Mr. Morris mentioned this morning: if you are sure that Miss Roberts and Mrs. Oakley are truthful and accurate, you will want to consider whether the fact the defendant denies those remarks and denies the truth of what those witnesses say is of any significance. You may want to ask yourselves, "If she did make those remarks to those two ladies, can it have been for any reason other than some such exchanges between herself and her aunt had in fact taken place?" And if she did make the remarks and they were true is it possible that now, more than a year later that she has forgotten both exchanges and the events which led to her to make the remarks? If you think that perhaps she has, there is nothing more to be said. But if you are sure the defendant is lying about those matters then, in accordance with the direction I have already given to you, you will have to ask yourselves "Why was she lying?" Is it possibly for some innocent reason, for example because though not guilty of killing her aunt she fears that to admit the disagreement may bolster the prosecution's case against her? May it be that she feels some remorse or shame at her having spoken harshly to her old aunt so shortly before she died and does not like to admit it? May it be out of panic or confusion? May it be for some other innocent reason? If, members of the jury, you think that it is or may be for one or other of those sorts of reasons then you will dismiss that matter from your mind and you will regard the lies as not supporting the prosecution case. If you conclude that she is deliberately lying out of a recognition of guilt and in order to try to undermine the case against her, then again you can take those lies, if you are sure that she is lying, into consideration. Members of the jury, if we just return to the main planks of the prosecution's case which I outlined a few moments ago, I think we ought to look at them in a little more detail. First of all, the question of opportunity. You know, as I say, that Dr. Lawler's preferred period of death was between nine and twelve. What other relevant evidence is there on timing? At page 126, which is the third witness statement the defendant made, she said there - and in evidence you will remember she told you that her witness statements were true and as far as she could tell, accurate - that at about 8.30 her aunt phoned for the second time about the front door keys and she said "Open the back door and I'll be up shortly." She said she left the house about nine o'clock, at which stage Katy, having had her hair done, was in the bath and she popped in and told her that he was going out and off she went. Katy gave a consistent account and told you that her mother came in to say goodnight to her at around a quarter to ten, by which time she had delivered Mr. Ross and his friend to the Horton Arms, which she did on her way back from her Aunties - calling on Mr. Ross and then picking up is friend (who, coincidentally is called Mr. Horton, I think) and taking them off. In fact, Katy's evidence about a quarter to ten may be wrong if you accept what Mr. Horton, Mr. Ross's cousin, said in evidence that was read. Was it read? MR.MORRIS: No he was called. MR. JUSTICE HUTCHISON: I thought he was called. What he said was that Mr. Ross and the defendant arrived at his house, a best as he recalled at about ten or five-to ten to take him to the pub and that they did so and she dropped the two men off and drove off. He also said - which you may think is material - that there was nothing unusual about the way she behaved. So that has her going out at about nineish, going up to auntie's and by 10 o'clock she has had time to come from Auntie's, pick up Mr. Ross, pick up Mr. Horton and deliver them to the pub. So there is an hour for her to do all those things in. There is also evidence that some time after 9.30 p.m Mrs. Briggs, a friend of the family who gives evidence in another context which I will come to, received a telephone call from the defendant in which the defendant mentioned the fact that Auntie had mislaid her keys and that she had been up there. Finally, at about quarter-to twelve, Sarah Buckley, the defendant's regular telephone correspondent it seems, rang up as she frequently did to be reassured about some disagreement that she had had with somebody. Members of the jury, there is the evidence. It is clear, is it not, on the basis of Dr. Lawler's attribution of the death as being some time after 9 p.m., that the defendant did have the opportunity to kill her aunt. She was in the house at the time when Auntie could have died. Then we have got the fingerprint on the wall. I think that Mr. Carus was right when he described this as the central plank of the prosecution case, was he not, because the prosecution say there was a bloody fingerprint on the wall near where the dead body which had bled lay and there is no other sensible explanation for its being there. Could I just say - because it occurred to me that it is a useful illustration of what I said to you about the burden of proof and the standard of proof - the defendant has put forward a piece of evidence, supported by Mrs. Briggs, on the basis of which you are invited to conclude that it is possible that that mark got there in some other way - to do with the moving of the door stop and the mishap that happened with the screwdriver. Members of the jury, do not be misled into thinking that because the defence have floated that possible explanation that that means that you are to ask yourselves, "Well have they satisfied us that that is the cause?" They do not have to satisfy you of anything. It is not they that have to show how the hand print got there, it is the Crown who have to make you sure that it got there in the course of the murder of Auntie. Do you follow the distinction? Members of the jury, we have all had a go at summarising the evidence in relation to these prints and I am going to do what Mr. Carus did - I say in advance, not disagreeing with his basic thesis, his basic analysis, but perhaps putting it with a slightly different emphasis from that which he employed. What does the evidence show? The evidence shows this, that there are three sets of marks on the wall, which I shall call them the left, the middle and the right hand one. The left being the one nearest the corner nearest the bed. The first of those marks, members of the jury, the one on the left, is 13 inches from the corner of the wall and it was made by a right hand. It gave the appearance of having been made in blood, by which I take the evidence to mean that if any of us would have seen it we would have said "There's a bloody hand print on the wall"; at a time when the blood must have been wet; by a hand placed flat, palm down against the wall. There would need to have been quite a lot of blood on the hand to produce the mark. When tested by the application of a chemical by Mr. Hussein it reacted exactly as a scientist would expect blood to react - and the same holds good for the other two marks, members of the jury. That was Mr. Hussein's evidence; it reacted exactly as a scientist would expect blood to react and Mr. Hussein, the scientist, concluded that it was blood and he said he could think of no other material which would react as it did. He did, as Mr. Carus told you, say that he could not state categorically that it was certainly blood but he added - which may seem a contradiction, or may give simply give you the context of that remark - that he was certain it was blood as a result of his test. He did not do any test to show whether it was human or animal blood. Members of the jury, that left hand print is the one which, if you accept Miss Symmons' unchallenged evidence, is the print of the defendant's right hand. So that is that. The middle mark was made by a left hand 18 inches or so to the right of the first one. Mr. Hussein reached exactly the same conclusions about it as he did about the first, but the blood had run too much to permit identification of the print. MR. MORRIS: Four foot six inches. MR. JUSTICE HUTCHISON: Four foot six inches above the floor. It was a smear and it is correct, as Mr. Carus says, that nobody has, I think, positively identified it as a hand print; whether you think you can infer that it was or whether you take Mr. Carus's invitation and resist that inference is a matter for you. It was a smear caused by quite a lot of the substance in which it was made, which again Mr. Hussein was confident was blood. There were no sufficiently clear prints for identification. A sample of this blood was tested by Dr. Basley who determined that it was of human origin - it could not have been animal blood. Members of the jury, as I listened to all the talk about animal blood I did wonder where one could imagine that hand prints with an animal blood on them could have got on this wall, but there it is. Perhaps that is an inappropriate comment to make, or an irrelevant one. So it is quite correct that there is no evidence about the other right hand mark being human blood but there is Mr. Hussein's evidence that all three marks were blood and all reacted in the same way which he, as a scientist, regarded as entirely consistent with blood. There were no other marks found on the wall although it was tested all over. There was no evidence to show whether or not the three marks were made at the same time or at different times. Tests to identify the source of the blood were unsuccessful. Naturally, there was a desire to identify the blood as coming from Auntie but nobody was able to do that. Members of the jury, I am afraid that I do not remember (and it is not clear from my note) whether anyone tried to test blood in that regard from all three sites or only the samples taken from the right-hand one. I think it was only the samples taken from the right-hand one, but it matters not because the tests were inconclusive. So you know that in the expert opinion of Dr. Hussein all three marks were made by wet blood. You know that in the expert opinion of Dr. Basley the right-hand mark was made by human blood, and you know that in the expert of Miss Symmons the left-hand mark was made by the defendant's right hand and fingers. What else do you know about relevance of these marks and their significance? First of all you know that Mrs. Brady, the cleaner from Extra Hands, came in every week on Wednesday and did so on Wednesday, llth March. She noticed no marks on the wall although she entered this room on that day. She thought that if there had been any such marks she would have seen them and had a go at getting them all off, which she had previously done with other marks or of tea stains. She regarded that as part of her job. Against that - I do not know how accurate an impression it gives - you have the point that Mr. Carus gave based on photographs 8 and 9 in exhibit 6 that these marks were perhaps not such as to hit you in the eye when you entered the room. So you must ask yourselves, "Is it possible that Mrs. Brady may have missed them; that they were there and she simply failed to see them and that is why she did not have a go at getting them off?" The second piece of evidence you have additionally to that about the marks themselves comes from Mr. Smith the ambulance man, who came in at a quarter-to ten, that is to say about 15 minutes after the defendant arrived on the scene on the 12th, found blood on the face and on the pillow to be dry, he said. The evidence is that the apparent wet blood, which you see in exhibit 5 in photograph number 2, taken later on in the mortuary was not there at this time and had been exposed or leaked as a result of the body being moved. Mr. Taylor, the other ambulance man, gave some similar evidence. Members of the jury, Mr. Carus criticises them on the basis that they are not asked to recollect about this for a long time afterwards, but you remember Mr. Taylor it was in particular, I think, who gave evidence about the disposal of his gloves and about the fact that having handled the body there was no blood on his gloves. More important, you may think, is the evidence of Mr. Michael Davey, the scientist, who told you that he had done some experiments to see how quickly blood in this situation would dry. He said it would be difficult, if not impossible, to transfer blood from this sort of scene more than two to four hours after the blood has been deposited, and he did an experiment (as I say) to verify that. He said that six hours was the most that one could possibly envisage. Members of the jury, we are concentrating on a period between 12 and 6 hours after the time when, in Dr. Lawler's opinion, death occurred. There is a third piece of evidence, which is that the defendant said in her statements to the police in interview and in evidence that she did not touch her aunt or the bed when she went in on the 12th. While she has said on more than one occasion that she does not remember the precise details of what happened in what must have been a dark room - and, of course, if she is innocent an awful and shocking scene which met her eyes. She was pretty adamant, was she not, that she had not touched anything of that sort. Another point which I invite you to consider: supposing you she had touched and has forgotten about it, sufficient to get the quantity of blood sufficiently necessary to make those deposits - and I have reminded you that it would have to be a hand with a great deal of blood on it - would she not or Mrs. Oakley have noticed the bloody hands as they walked and sat outside afterwards? Surely, if no sooner than when she came to wash her hands, she would have noticed the blood on them and would have remembered and told us about it. Members of the jury, bearing all that in mind and remembering that the defendant did not put the light on as she walked out and that she would be walking out from a dark bedroom into a lighted doorway with the light flowing in from the kitchen (illuminated by daylight) do you feel that you can dismiss from your minds the possibility that the defendant put that print there on the morning of the 12th March? Remember neither she nor Mrs. Oakley nor anyone speaks of having seen any blood on her hands. If you do conclude that you can dismiss from your minds any possibility of her having contaminated her hands with blood on the 12th and leant against the wall and left that print, what other evidence is there which might account for its being there, other than the fact that she was the killer? Members of the jury, you will want to consider whether it is possible - not whether it is proved but whether it is possible - whether it may be, that the defendant made these marks in blood, and in particular the one identified as being made by her, on an earlier occasion and that neither she nor Mrs. Brady, the cleaner, noticed them before. There is some evidence of which the defence - as I have reminded you - invite you to say that you cannot exclude this possibility. So let us just consider what it is. It starts with Mrs. Briggs, who was a prosecution witness, who is a friend of the defendant's, who told you that she used to visit Mrs. Marchbank and has seen the defendant looking after her. She was there on an occasion three or four Saturdays before 12th March when she had seen the defendant remove the rubber door stop. You will remember the defence went to elaborate lengths to satisfy us of what I am sure none of us doubt, that there was a rubber door stop in the carpet behind that door which had been removed. She said that the reason, apparently, was that Mrs. Shelton, the mother, had stubbed her toe on some previous occasion on that and the defendant was intent on removing it. Mrs. Briggs told us that when that was being done by the defendant she caught her left hand with the screw driver and cut it. One or other of them, she said, got a tissue to apply to the cut and this had happened in daylight round about midday. In cross-examination she said that only the left hand was cut and that the defendant got tissues from a box on the fridge in the kitchen. The bleeding, she said, was not very heavy, it was just a case of dabbing the cut with a tissue. She could think of no reason for the defendant, between inflicting the cut and getting the tissue, to have touched the bedroom wall. Of course, remember we are talking about a cut on the left and not on the right-hand. The defendant herself, when she gave evidence, recalled the incident. She put it as two weeks before the death. She said she did cut her hand with the screwdriver. Mrs. Briggs was there. It was daylight. It was her left hand but she said it bled quite badly. In cross-examination she said the tissues were not in the kitchen but on a table beside the bed and she said that she could not remember what she had done but could not think that she would have put her hands on the wall unless she was reaching across to get the tissues. She said she saw no marks on the wall. She agreed that she had never, when asked in interview to account for the marks, mentioned this possibility. This is because she had forgotten about it until she was reminded about It by Mrs. Briggs much later. Members of the jury, that is really all the evidence that there is on this crucial part of the case. You may think, as I have said, that the hand print is a critical plank, an important plank, in the prosecution case. Mr. Carus invites you to say that really it is quite impermissible to infer that these three marks were put there at the same time. He goes further and says you should not conclude that they are all blood, despite Mr. Hussein's evidence; only that near the light switch has been proved to be human blood. What do you think of that, members of the jury? Of course, you must look for strict and sensible proof but you should, I suggest, ask yourselves whether, as a matter of sensible inference, you can or cannot conclude that really it must follow that all three marks were put there at the same time and whether you can accept on the basis of Mr. Hussein's evidence that all those marks are blood and, as a matter of overwhelming probability, human blood. Does that appeal to you or do you find more persuasive Mr. Carus's submission about the scepticism which you should show to concluding that the mark with the hand print is even in blood, let alone that it was placed at the same time as the mark by the switch? May it be that the defendant put it there either when she cut her hand removing the door stop or perhaps on some other occasion which she has forgotten about, or did not notice. If you think that there is or may be some such explanation then, of course, the main plank of the Crown's case goes. If, however, you are sure that you can reject that possibility, then you will want to ask yourselves whether it is the case, as the prosecution argue, that that print is a clear pointer to the fact that the defendant was the killer of Hilda Marchbank. Members of the jury, I will deal with one more topic and then we will break off for tonight because you have had, I know, a taxing day and I prefer to conclude when you are fresh tomorrow. The third matter which I have mentioned is the evidence of burglary. No one has identified anything as missing. There are, it seems to me, two things to be said about that. There was valuable jewellery available which had not been taken. However, Sergeant Abbot agreed in cross-examination that some burglars will take only money, fearing that anything identifiable may put them in jeopardy of detection. He also agreed that a gloved hand will not necessarily leave a mark. You will remember that his evidence was that he searched the house to see if there was any sign of someone, some intruder, with gloved hands having been in there and he found no mark despite careful searches, nor any other signs suggestive of entry by a person wearing gloves. But Mr. Carus was right, as it seems to me, when he submitted to you that really the evidence was inconclusive because it had to be accepted - and one's common sense tells one this, does it not - that certain sorts of covering of the hand could be such as not to the leave a mark. A second point is this: the fact that the defendant is unable to say that anything was missing does not necessarily mean, does it, that nothing was missing. It means only that none of the things that she remembered were missing. In that connection I will not read to you again what Mr. Carus read to you this afternoon, the passage at pages 118 and 119 of her statement, exhibit 93, where in effect she makes it clear that she does not remember everything that was there. It is a fair point, is it not, members of the jury? If you think of going back to your own house, if you had the misfortune of being burgled and the further misfortune - which, if you are like most people are you probably would not have - of not having a detailed inventory of everything in your house and you were asked by the police to remember whether anything had been taken, probably over the next 12 months you would be finding things that had gone which you had forgotten about. So we do not always remember exactly what is in our own houses do we? So those are legitimate points that are made by the defence, but you are left, are you not, with the fact that despite appearances of a disturbance consistent with a burglary nothing has been identified as having been missing and that easily transportable items of no little value were undoubtedly left lying around. Was that because the burglar was a discriminating burglar who was intent on stealing only something like money? Was it because something is missing which no one has been able to remember, or was it because the burglary should be regarded as a "burglary" (which is the Crown's case) which is a diversion by the murderer to suggest that the motive for entry was burglary when in fact, the motive was something quite different? Members of the jury, that is the third of the principal planks of the prosecution case that I identified. When I continue in the morning I will be coming to the second main plank, the conversation said to have taken place between the defendant and Sergeant Rimmer in the hearing of Detective Constable Ogden - but we will deal with that tomorrow morning. Remember my warning, particularly at this stage members of the jury. If you could be good enough to be here at ten o'clock tomorrow morning I should be grateful. MR. JUSTICE HUTCHISON: Members of the jury, you will remember that I had just reached the last, number four, main head in considering the matters which the prosecution have to prove, the important matter of the alleged remarks by the defendant to Sergeant Rimmer at the police station. What is the evidence about that? Sergeant Rimmer may say one thing, the defendant and Katy may say another. (inaudible) The suggestion was made that Sergeant Rimmer was confusing this remark with a different occasion, namely a comment which the defendant says she made, that her aunt, having put up a struggle, there might be on her hands material which would identify the attacker. However, that conversation was not, I think, suggested ... (inaudible) Since it was suggested to be at a different time and a different place it would surely not lead Sergeant Rimmer and Mr. Ogden to erroneously conclude that these were the remarks of the defendant as she left the police station. So it may be, members of the jury, that you take the view that one side or the other is not telling the truth about this and it is for you to decide who is telling the truth and who is lying. I will remind you of the evidence in a little detail. First of all, Sergeant Rimmer: what she said was this. She began by telling you about the taking of the prints and she said "During the taking of the prints I noticed the fingernails on the right hand were thick and dark. It was a bit messy. Those on the left hand were short but manicured. I had seen her on several occasions prior to the 18th and noticed that prior to the 18th the fingers on both hands were manicured." Members of the jury, you have got the photographs which, if you are like me, you may feel are not very helpful, for two reasons: first of all, they were not taken until the 30th; obviously since nails change and grow they would not be the same. Secondly, you may feel again that they do not really display a very startling difference in appearance between the left hand and the right hand, even though the nails on the right hand are somewhat shorter and on the left ... (inaudible). Members of the jury, this is, as it were, a little separate point on this part of the case. I do not know what you think of it but my advice to you is to be rather cautious about drawing any adverse conclusions about the defendant ... (inaudible). Her evidence, as I will remind you in more detail later, is that she did not bite her nails but they were occasionally very short and she had not done anything by way of changing the appearance of her hands. You may also wish to ask yourselves, thinking about the main part of this remark she is alleged to have made, whether she had been mindful of the possibility ... (inaudible) ... whether it is conceivable that she would have asked such questions as the police officers say she asked. That is a matter for you to consider. At all events, it is (as I say) a subsidiary remark at this point. Mrs. Rimmer went on by saying this: "On completion of the taking of the prints, during which her daughter had been waiting out in reception, Ogden and I escorted the two of them from the building. Katy May was in front, myself and Susan were talking and Ogden was following up the rear. We had a general conversation about how to get a fingerprint lift of the hand. At the exit door there is a ramp. Katy May wandered off to the car - she was 30 or 40 yards away. Ogden was some way behind us. We continued to have a conversation about the murder and there was a discussion about fingerprints being obtained for elimination purposes. She turned to me and said, "Do you know the scratches on my aunt's face, can they get stuff from down your fingernails at forensic?" She was asked about her reaction and she said "I was astounded and shocked and I said I didn't know." In cross-examination she agreed that "astounded and shocked" was not quite the right description and it would have been more appropriate to say that she was taken aback by this enquiry. It is an important point that she was plainly alive to the significance of the conversation from the outset, because she was alive to the fact of the existence of the scratches. She said "The conversation finished and I said I would contact her the next day. As a result of what she had said I went and told Mr. Kerr what had been said. After speaking to Mr. Kerr I wrote in my notebook what she had said. So there is her account of going straight off to the officer in charge, telling him the incident and writing it in her notebook there and then whilst it was fresh in her memory. Superintendent Kerr confirmed that evidence about Sergeant Rimmer having reported the conversation to him. He said that he thought he instructed ... (inaudible) ... about it. When recalled later, after he had made investigations at the HOMES computer, he said that there was in relation to this matter no record in HOLMES but he would not expect there to be one. Sergeant Rimmer was asked why, given the suspicions in general about this conversation, Mrs. May was still treated simply as a witness. You will remember that the first of her witness statements was made the following day, the 19th, and then she makes a couple more over the next few days. Her answer to that was it was on Mr. Kerr's instructions that she was following. The point, members of the jury, was this, that the rules require that in the ordinary way a police officer who had grounds for suspecting someone of an offence cautions them and treats them not as a witness but as a suspect, and Mrs. May was not treated as a suspect at this stage. So the point the defence make is "Well, she should have been. Why was she not?" The answer from the police officer was, "I take the point, but I was told by my superior officer not to." The suggestion by the defence was "You did not treat her as a suspect because you had no grounds to because this conversation did not take place." What Mr. Ogden said was this. His account was essentially the same, though not in some details. He said "We took them, after the fingerprint business, to the rear. Katy walked in front, Sergeant Rimmer and Mrs. May side by side and I directly behind. As we walked along Sergeant Rimmer and Mrs. May were discussing how to remove fingerprint ink and the reason she had attended at the station. At the outside door Katy left and walked towards her mother's car. Sergeant Rimmer stood on the ramp with Mrs. May, I was directly behind." Then he gave precisely the same account of the words of the enquiry: "Do you know the scratches on my aunt·s face, can they get stuff from down the nails on forensic?" He said Mrs. Rimmer said, "I don't know", then she said she would contact Mrs. May and Mrs. May left. He said that he and Sergeant Rimmer immediately went to see Superintendent Kerr and told him what had happened and as soon as possible after that an entry was made in Sergeant Rimmer's pocketbook in his presence which he signed, indicating that he agreed with its contents. You may remember that he was cross-examined as to why he did not make his own notes and he said he considered it appropriate to sign Sergeant Rimmer's notebook as they were pooling their recollection. He was cross-examined about this. He said that Katy had already left the police station and gone down the ramp to the car - about 30 yards away. She had opened the door. She was probably about 15 yards in front at the point that they walked out. He was positive she was not with them at the time. It was just as they were leaving the back door that the remark was made. They were not walking, they were stood together. They had stopped on the ramp, probably face to face with each other and side on to him. He said he was probably stood holding the door, and he gave the answers about the notebook I have already referred to. He said this: "The details were not known but I was aware of the scratches; I'm not sure what other people knew. It was for this reason we went to see Mr. Kerr." So, members of the jury, that is, as it were, the evidence on one side and you have to contrast that with what the defendant said about these matters, which was as follows. She said "In the succeeding days I saw a lot of Sergeant Rimmer. I did have a conversation with her." She said that he denied her evidence of what had been said. Well, first of all she said this, members of the jury. She said "I didn't know that my aunt had scratches on her face, I just saw what I thought was blood. Prior to 18th March I never believed that aunt had scratches on her face." "In an earlier conversation Sergeant Rimmer had said 'Would Auntie have put up a struggle?' I said that she had a very strong will. I remember saying that they would have to check Auntie's hand, although I know she didn't have a lot of nails and I wondered if possibly there were fibres on her hand." "In the days that followed Sergeant Rimmer made no reference to my having spoken about the scratches. The first I knew of this was when Inspector Kerr requested the Magistrates to grant a 36 hour extension as a new piece of evidence had come into his possession: scratches had been mentioned and only the murderer would have known about those." She was saying, members of the jury, that in the aftermath of the fingerprinting there was no conversation of that sort at all and that they simply walked out towards the car. She also said, I think, that Katy was with her throughout within hearing and had not, as the officers said, walked on ahead. Katy May also gave evidence about this and her evidence supported her mother's account and conflicted with that of the two officers. She said this: "I remember her fingerprints being taken on the 18th - I was with her. Janet Rimmer and Paul Ogden came to the house and we followed them to the police station. I wasn't present when the prints were taken, I was in the corridor round the corner. After they had been taken she had to pass me to go to the bathroom to wash the ink off and Janet Rimmer came with us." "Then we were led out of the police station. We had to go along a corridor with security doors that led to the back yard, which was not far from the car. Paul Ogden went first. On some of the doors it is necessary to key your way through and he was doing that. I was next to Mum and Janet Rimmer was on her other side. Paul Ogden opened the door and we all stepped outside and went to the car. Mother was next to me when we got to the car; I think Janet Rimmer said something about she would see Mother the following day." When cross-examined about that she said "I was playing on the computer game in the corridor. We went home in Mother's car. I thought no more about that day at the time; there was nothing happened to make it unusual. It would have been months later that I was asked to think about back as to what happened. I could remember I was not playing the computer game as they walked out. I did not wander over to the car - I am positive about that. I have not been asked to say this. I am telling you the truth." Members of the jury you will have realised by now that a question that counsel always ask is when a witness was first asked to recall certain things. My experience is ... (inaudible).. The longer that elapses before you are asked to remember the event, the more the comment could be made "Could you not honestly recall?" Katy was saying that she had a clear recollection of these matters. Members of the jury, there it is. The crucial underlying fact is that piece of the prosecution evidence is designed to prove that outside a small number of people no one knew about the scratches and Mrs. May herself told you that she certainly did not. I suppose you ought to bear in mind the possibility that perhaps she was mistaken; perhaps she did know and had forgotten that she knew. You approach the matter on the basis that if the prosecution's evidence establishes that she accepts that she did not know about these scratches then if she made this remark, how come that she made it? The prosecution say they have proved it; of course, you will want to consider whether you are sure, given that conflict of evidence, that you can say what the two officers say - that that enquiry was made. Or are they lying about it and have they decided to deny and pursue their lies to the extent of going, immediately after that meeting, to report what happened to Mr. Kerr? Members of the jury, those are the questions which you have to determine. The last point relied on is the question of lies by the defendant. I have already commented on the cautions you should consider when placing the lies against the defendant and the necessity to eliminate any possible innocent motive for her lying. That really is what the Crown rely upon. What about the defence? Members of the jury, as I say "What about the defence? ", it sounds as though I have not, as it were, dealt with it at all. Of course, you will remember that I have, in covering the prosecution's case, touched upon the defence case but it is right that I should gather together what the defence case is at this stage. It is quite simply this, that this defendant was a devoted carer of her aunt, whom she loved; whom she found a pleasure to look after; for whom she entertained nothing but sympathy and kindness, and she never did and never would have dreamt of doing away with her to get money. I will just remind you in fairly broad outline of the evidence that she gave ... (inaudible). She told you she was 48 years old, that she married in 1968 and divorced in 1986. She worked as a self-employed hairdresser and lived, as she had done when married, at 42 Dogford Road, which received as part of the divorce settlement. He took the car in that settlement and her mother and auntie provided the Volkswagen Golf GTI - an example, she said, of the generous way in which they used to treat her. Her children are Adam, 23, and the twins Katy and Toby, 21. She said there came a time when her mother left her home, which had previously been at 42 Albert Street, which was then sold and came to live and was cared for by her - something which she and the children welcomed. She did not begrudge the time it covered. 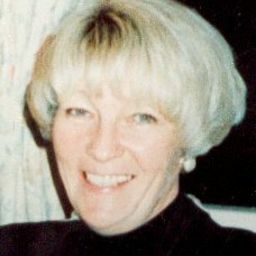 In 1986 her sister, Anne, suggested that an appropriate place for her mother and the aunt would be a home - and indeed Anne, she said, looked for a suitable home - but her stance was that she did not agree that that was appropriate because she knew, as proved to be the case when it was mooted with them, that the two old ladies would object to going inside a home. She described how Auntie and her husband Tom prided themselves on treating Anne and herself almost as their own children. They had often spent holidays with them. The two families, she said, were very close. Tom died in 1980. She said that up to 1988 or 1989 her sister Anne had remained interested in managing their mother's and aunt's financial affairs and did so in a careful and methodical way - writing letters and keeping records and so on. Thereafter, she said, Anne lost interest and the defendant did the management of the aunt's and mother's affairs but, she said, she informed ... (inaudible). She told you how she visited Auntie three or four times a day and over the last two years saw to her meals daily. She said she was generally fit and remarkable well for such an old lady, though she did have this problem with her sight. She said she had her to stay every three or four weeks. She loved her and had done so all her life. The same was true of her own relationship with her own mother, with whom Auntie was very close. So, members of the jury, the picture she painted - and it is fair to say that none of the witnesses said anything to contradict this - was of a niece who was willingly and devotedly looking after her elderly aunt and, indeed, her mother and was very attached to them. She described the events of 11th March, as indeed she had done in her written statements which you have at page 114 to 132, which she told you were accurate and she did not wish to alter them. She also affirmed her account in interviews, again saying that there was nothing she would change about the interviews. In the course of her evidence, when she went over most of it again, she said when she took Auntie's lunch she had seemed well and happy. She then went home, then went out shopping, then visited her father's grave. She rang Adam, who was changing cars at that stage, about insurance. There was then tea with a birthday cake: it seemed that Auntie would, in the ordinary way, be there, but she told you that her mother ... (inaudible). She said that Auntie always phoned regularly and on this day she phoned a number of times about her concern about the front door key. Eventually, therefore, she decided to go up once her mother was in bed - that was about 8.30. Though she said there was no reason for Auntie's concern, the repeated calls did not make her angry; she neither raised her voice nor slammed her voice down. Having told Katy where she was going - Katy, by that time, had her hair down and was in the bath - she drove in the Mini - the Mini which was said to be a present for Mr. Ross from her, and you heard evidence read confirming that. She arrived and parked, entered by the back door, which she had told Auntie over the phone to unlock for her, and found Auntie sitting on the bed. She found the keys by the door, which was the place she preferred to keep them though Auntie, for some reason, liked to have them in the lock itself. So she reassured her, found the keys, and I think she said she put them in the lock as Auntie wanted. Having stayed about ten minutes, she kissed her goodbye, saying she would see her the next day, and left through the kitchen door. She said to her auntie, "It's nine o'clock, see you in the morning." She also said to her to lock up after her but she did not stay to check that she had done so. She explained herself to counsel for that: she said in fact she never did say that - that she checked with Auntie that the door was locked.... (inaudible). She then went to Chris Ross's house, where she had already arranged to pick him up and take him to the Horton Arms. She stayed about 15 minutes. She took him to Stephen Horton's house, picked him up, drove the two men to the Horton Arms, where she dropped them and then returned home and did not go out again that night. She described how, between her arrival back, when she popped in to say goodnight to Katy, and going to sleep, she had telephone calls from Mrs. Briggs - or, rather, she rang Mrs. Briggs - she had a call from Sarah Buckley, and she also spoke to Mr. Ross, who rang up for a gossip (as he often did). It is no surprising, is it, knowing what we know about the relationship, that a call of that sort happened? She said the following morning, after going into Royton for shopping and to do something for Mr. Ross, she went to Auntie's about 9.30, taking a sandwich for her lunch. She went in by the side door which was, not unusually at that time of the morning, open. As she approached the house she noticed, however, that the sitting room curtains were still drawn. From the kitchen she approached the bedroom. The door of the bedroom was not, she said, shut but was to - you understand that. She said "Come on, Auntie, get up." Then she was confronted by what she said was "this horrible scene". She went, she thought, as far as the table but did not stay long. The effect of what she saw was sheer horror". She noticed upturned drawers and things strewn about. She left, she said, and went to seek help, first trying the door of the next-door neighbour and then Mrs. Oakley. We know how she went to Mrs. Oakley's house, knocked ... (inaudible) ... She then said she returned with Mrs. Oakley. She agreed with what Mrs. Oakley had told us, that at some stage she complained of feeling sick, and she denied the remarks attributed to her by Mrs. Oakley about shouting at Auntie - as she did in evidence. Later in her evidence she dealt with the matters I have already reminded you about: how the print might have come on the wall and the screwdriver incident, and the visit of the fingerprinting on the 18th. As to her fingernails on that occasion, she said that the photograph of the 30th March showed her hand in a not unusual position. She did not bite her nails but they did occasionally break. As to Mr. Christopher Ross, she reiterated the effect of what she had said in her statement - that she had been slow to admit the true position of their association because she thought it was a private affair and nothing to do with the charge and her arrest. Also she wished to spare his family. She denied the suggestion that she had showered him with gifts; she said the relationship was not dependent upon any sort of ... (inaudible). She also dealt in evidence in chief, and more extensively in cross-examination, with the financial matters. Consistently with what I suggested should be your approach to this matter and my own approach to it, I do not propose to remind you about any of that, - save to mention that at the end she said that she knew that her aunt had some jewellery, though she never paid much attention to it or thought of having it valued. She could have so shares if she was minded to do so but she made no attempt to do so. She also said that her mother had three properties which she, the defendant, had not at that time considered selling but one of which is now on the point of being sold, the price being somewhere around £26,000. I will remind you just of one or two parts of the cross-examination. When asked about her remark to Mrs. Oakley that Auntie was dead she said this, "I don't know what I said, I can't say. I just wanted to get help and run out." She also said that in the room she had neither opened the curtains nor put the light on. She said "I'm more than sure I didn't touch her. It was just horror. I just turned tail and ran. I didn't know whether she was dead or alive. What upset me was finding her lying as she was. I just never considered telling Mrs. Oakley whether she was dead or alive. I just knew I needed help." Members of the jury, that is her evidence. I remind you of it last for two reasons: firstly because it came virtually the last in the case and secondly because it is important that you should have it in mind when you retire. I have covered sufficient of Katy's evidence, who was the other witness actually called, and I need not remind you of the evidence of the lady who sold her the Mini. In addition, members of the jury, you have the admissions - nearly all of them read. (inaudible) When considering the admissions you will want to marry them with the defendant's version of events, augmented by the evidence of Mr. Collins, the ... (inaudible). You also have the interview. Members of the jury, since some years ago when interviews started to be recorded, life has been very much easier. First of all, there is rarely a dispute about what was said and, secondly, since a transcript would be made or a summary of the interview, the jury have it. I do not take you through those interviews, which you can ... (inaudible). It is fair to say that she maintained her innocence and maintains that she has not killed her aunt. Members of the jury, that is essentially all I have to say to you about this case. You have to decide, in the light of that evidence - the substance of which I hope I have summarised adequately; I remind you it is what you remember that is important, not what I may think - whether the Crown have satisfied you so that you are sure that on that night, the 11th March of last year, this ... (inaudible). While there had been a struggle and plainly Auntie put up some resistance to her attacker, the cause of her death was not strangulation as a result of the hand round her neck but suffocation. There it is, members of the jury. The only other thing I want to say to you is this. When you retire in a moment, may I suggest, if you have no already done so, the first thing you do is appoint one of your number, either a man or a woman, to act as your foreman. That person will be able to chair your discussions and also deliver your verdict when you come back into court. You have heard, I am sure, of majority verdicts. Put anything you have heard out of your minds. Your task when you retire is to endeavour to reach a unanimous verdict, that is to say one on which you are all agreed. Should that situation change, I will ask you to come back into court and give you a further direction. So a unanimous verdict, please. You may find that after you retire that some point arises which you feel you need either to be reminded of or to get further guidance on something that I have not said. One thing you cannot do is ask for further evidence because all the evidence is completed at the end of the case and it is too late to hear anything more now, so do not send out a note saying "Please can we have further evidence?" If there is anything that is not clear, please write a note about it and I will deal with it. If you want to be reminded of a direction of law, I will be happy to do so. When the jury bailiffs have been sworn, will you retire to consider your verdict? THE CLERK OF THE COURT: Will the foreman please stand. Mr. Foreman, will you please answer my next question either yes or no. Has the jury reached a verdict upon which they are all agreed? THE FOREMAN OF THE JURY: Yes. THE CLERK OF THE COURT: Do you find the defendant Susan Hilda May guilty or not guilty of murder? THE FOREMAN OF THE JURY: Guilty. THE CLERK OF THE COURT: You find the defendant guilty and that is the verdict of you all?